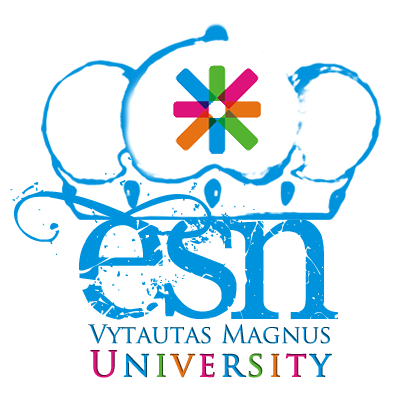 ESN VMU strikes again! On 19th of February ESN VMU organized the Day of Museums where all International students and mentors were invited to visit three interesting museums of Kaunas with us! We started our little journey by visiting the Devils‘ Museum, where we saw the collection of various wooden devils‘ masks and figurines that belonged to famous lithuanian artist and public figure Antanas Žmuidzinavičius many years ago. This wonderful collection consists of 260 devils! However, while visiting this museum we had an amazing opportunity not only to see the collection of devils, but also to walk in the rooms, decorated with authentic furniture that belonged to A. Žmuidzinavičius and even to see some of his beautiful paintings. When we had seen everything we could in the Devils‘ Museum, we continued our trip to famous lithuanian artist and compositor Mikalojus Konstantinas Čiurlionis art gallery. There we were surprised by the infinity of paintings, but the most famous artworks, such as the „Rex“, made the biggest impression on us. However, the paintings weren‘t the only thing we could enjoy in this museum because we had a chance to listen to the records of this famous person‘s music. That was brilliant! Amazed by the extraordinary images and magic sounds of music, we went to the last museum of our trip – LSMU museum of anatomy. The moment we stepped in the room of this museum our noses wrinkled because the smell was not very pleasing. Well it couldn‘t be different, since the exhibits of this museum were real people‘s skeletons, bones, kidneys, liver and other body parts. However, the greatest impression left the babies that were put in the glass jars. There were the embryos taken away from mothers‘ tummies during their pregnancy, various conjoined twins or preterm babies. The view wasn‘t pleasant, it was even cruel, however, that was really worth seeing. To sum up, this was our Day of Museums, that really left an impression. It enabled us to enrich our knowledge about the art, that took us away from the reality and also let us to understand the same reality from the other side. Of course, we hope that this day will stay in our memory for a long time. And to keep it, we also made some group photos after every museum we visited.